Originally from the S.F. 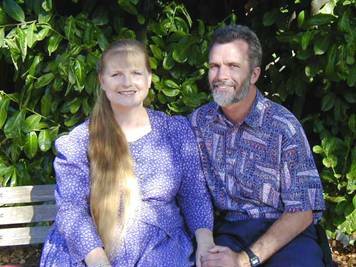 Bay Area, Brian and Rose moved to Portland, Oregon, in 1988 to pursue graduate studies. While in Portland, they were also blessed with four children, and an extensive network of friends and service contacts throughout Oregon and Washington. In 1996 the Simmons family moved to Guyana, South America for a four-year term of community service. There,they served in many administrative, development training, mentoring, educational, and launching roles. Brian and Rose believe that change agents should "work themselves out of a job," and they literally did that in Guyana by completing their work there and transferring ongoing programs to capable Guyanese leaders whom they had helped train. Brian, Rose and their children have settled in Estacada, Oregon, for the near future. Brian's three-fold vision is to launch and develop initiatives, to revitalize "plateaued" programs and to train leaders both in North America and abroad, to do the same. Brian has trained community transforamation workers in India, Nepal, Thailand and Guyana.